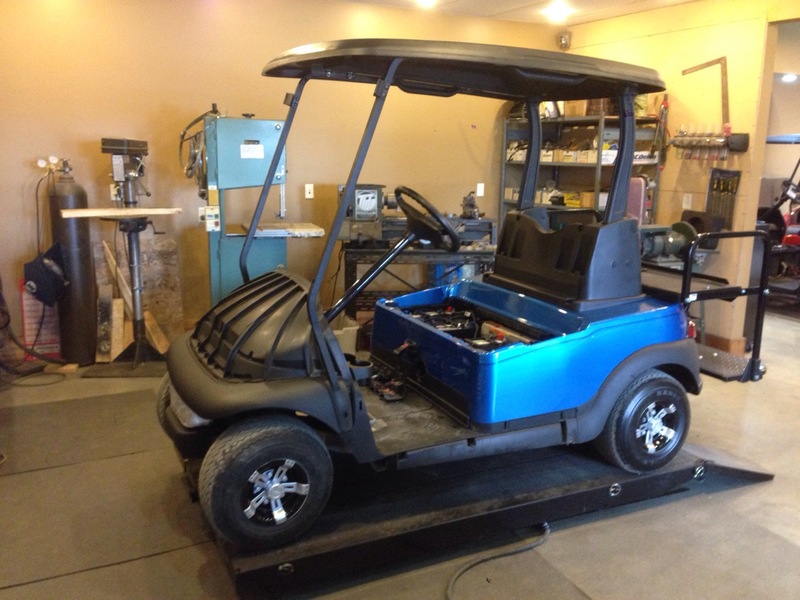 This cart just needs a few finishing touches and it will be off to it’s new home up at Predator Ridge! 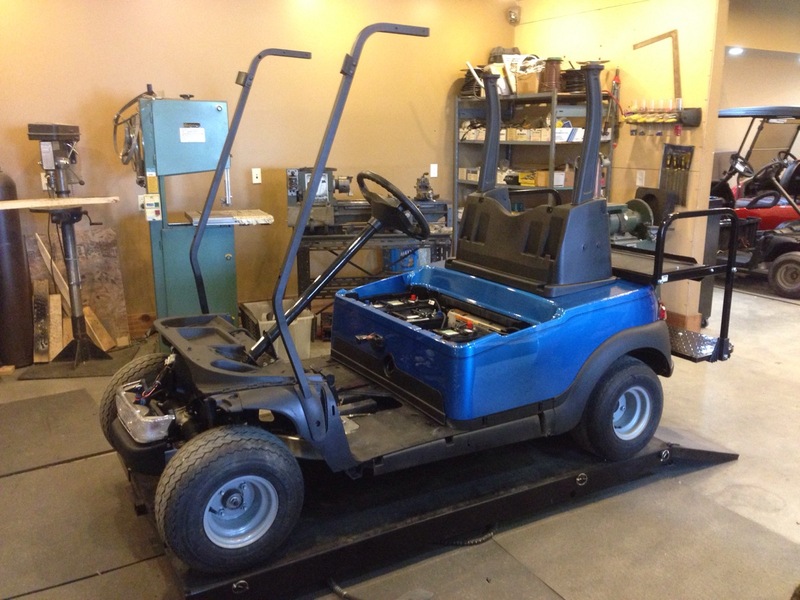 This week, this cart went from just having it’s refurb completed to …. 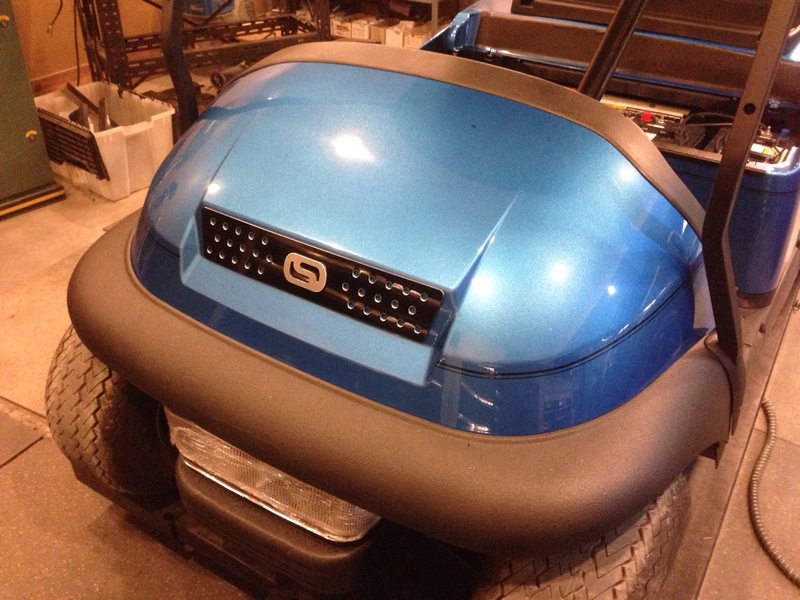 Refurbished rear underbody with the sport bumper to style it up a bit! How about this color! Just awesome, it is going to be a head turner for sure. 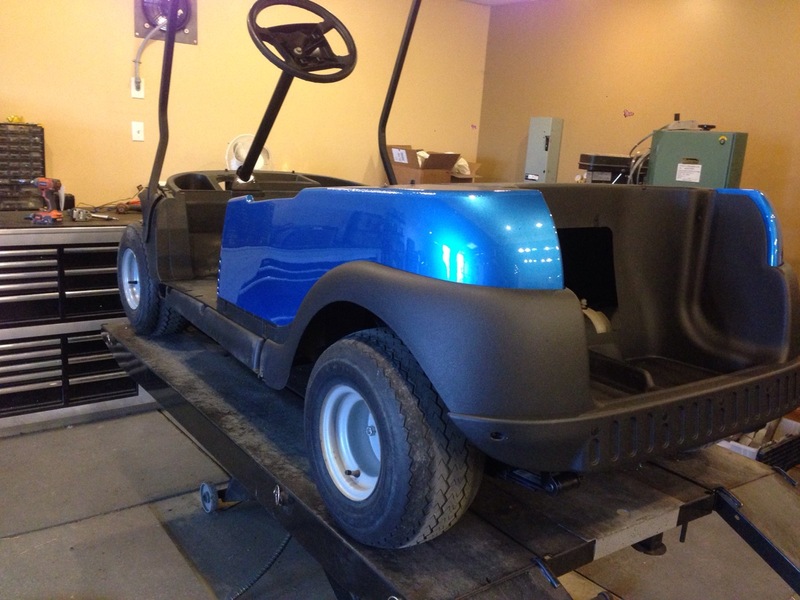 A pinstripe and some taillights finish of the body of this cart. 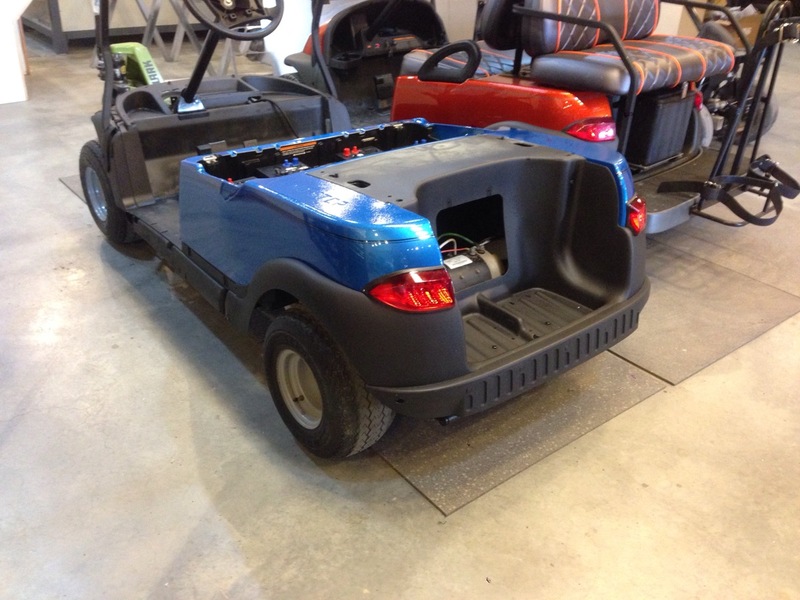 If you are going to use your cart for cruising, then a rear seat is a must! 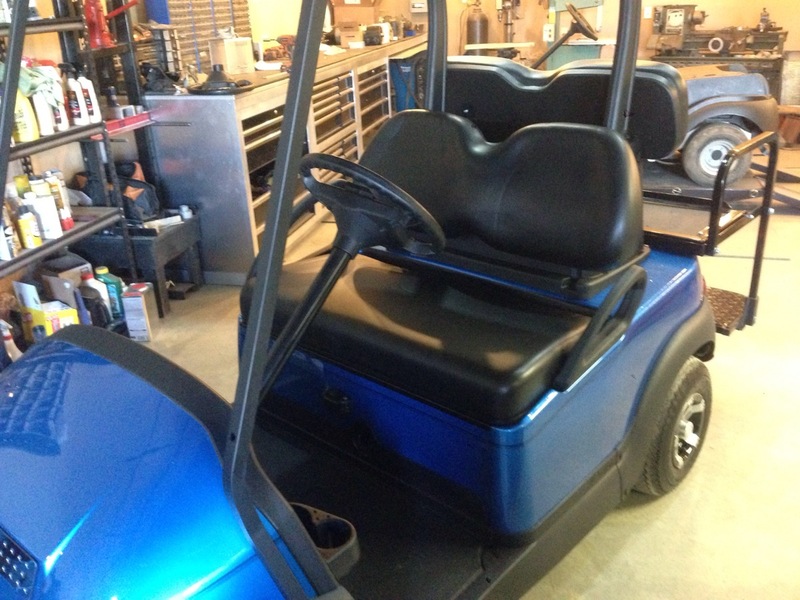 Next we installed the roof supports, and the cool thing about our seat kits is not only do they flip but we also retain the factory sweater basket. 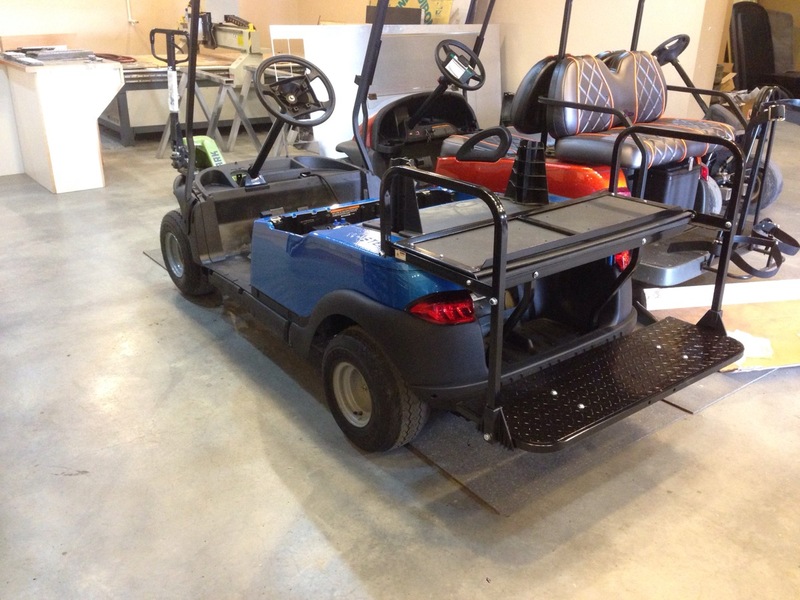 This is super handy for hauling extra items. Time to put a lid on it…literally! These customers picked all the right touches, the black roof caps this neighborhood machine off perfectly! Speaking of caps, how about the sweet wheel caps! 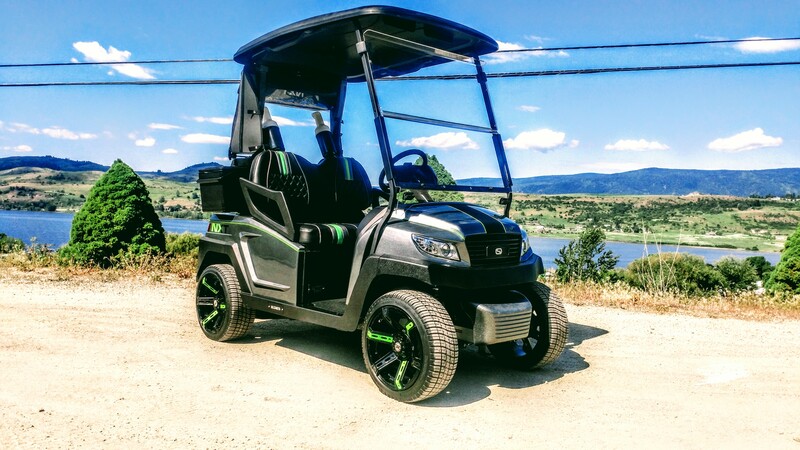 How about this for a front end, some pinstripe for style and of course our SC Carts custom grill, with a matching silver SC to tie everything together. Rear seat back upholstery installed! 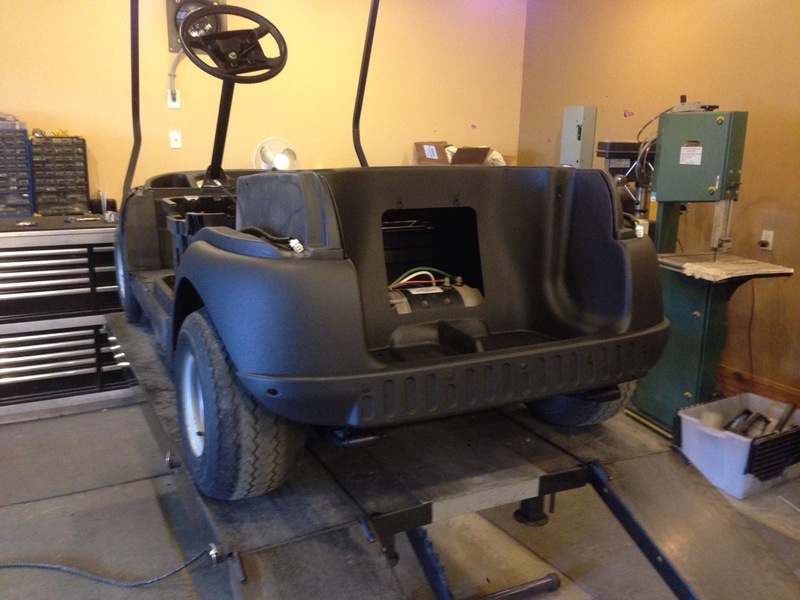 Brand new Club Car OEM black seats, what a great look for this machine! 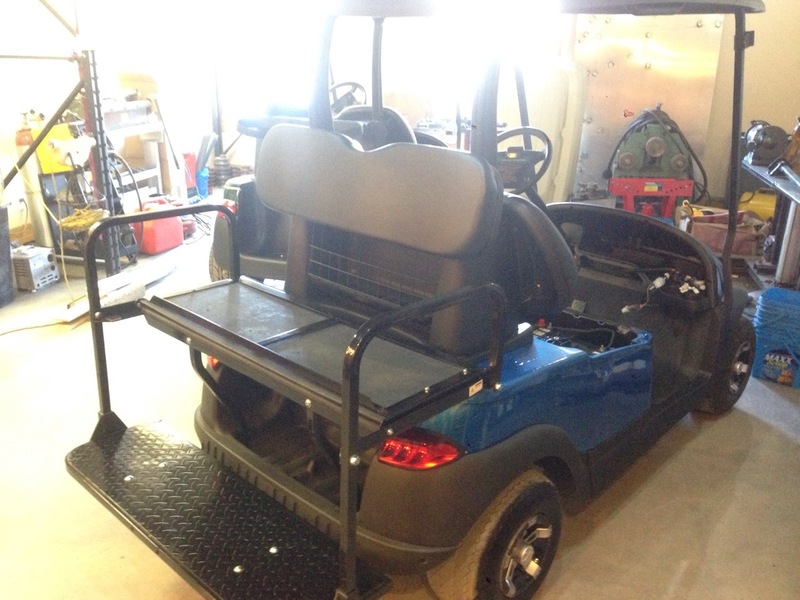 Now you can see it all coming together, and I’m sure you have to agree it is a great looking cart. 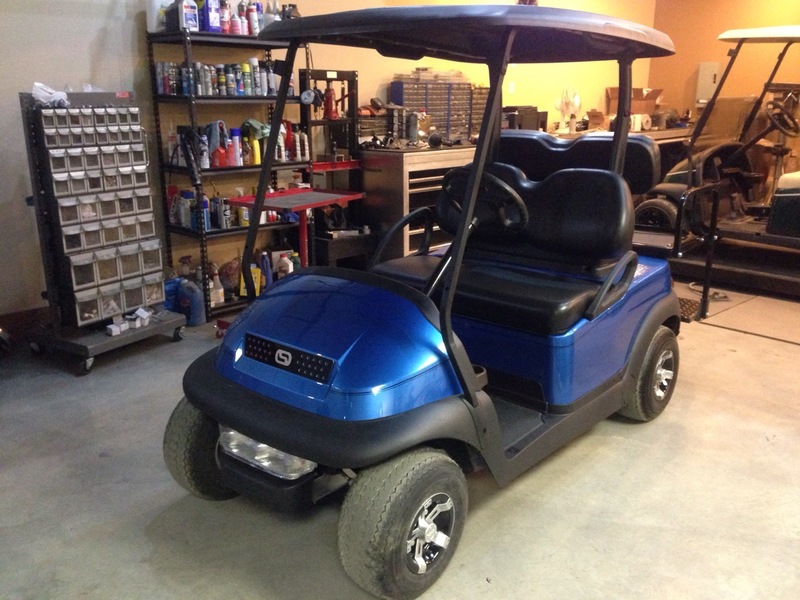 Just a couple more touches and this baby is on it’s way to it’s new home! We know our customers are going to love it. If you haven’t seen part 1 of this hot rod, catch up right here.